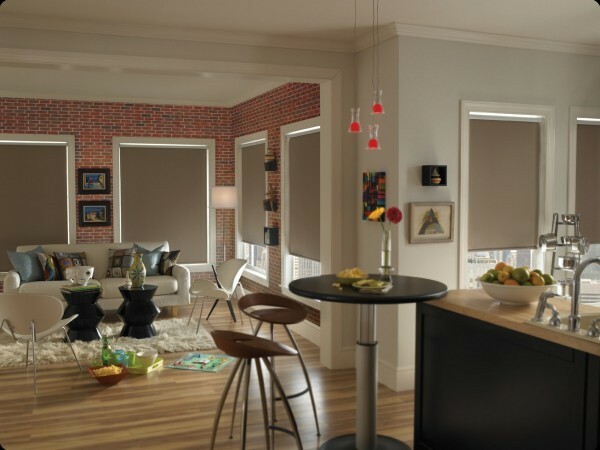 Roller shades offer the most versatility when maintaining a balance between style and function. You can utilize solar shades when a view is critical while decorative fabrics are available when color and décor are prime considerations. Either look can be combined with fabric covered cassettes or metal fascia’s to conceal the shade after raising. For the hard to reach windows we offer SOMFY motorization which will remove cords and allow for operation up to 100 feet away in open space.